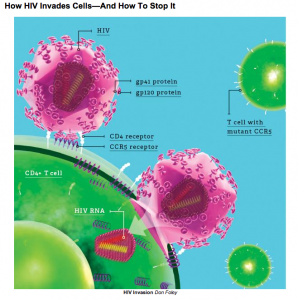 Reservoirs of HIV hide deep within the body. Scientists are now closing in on methods to wipe them out. In 2007, a little-known German doctor applied to speak at a prestigious AIDS conference, claiming to have cured a single case of the disease. He described a 41-year-old man, dubbed the “Berlin patient,” who had had both AIDS and leukemia. The patient received a bone-marrow transplant from an HIV-resistant donor and no longer showed any sign of the virus. Perhaps the conference organizers didn’t know what to make of the case. They asked the doctor, Gero Huetter, to present the results on a poster instead of in a talk. So he did. The poster ended up hidden toward the back of a room. “I ran into the poster by mistake. No one was paying attention to it; there was no buzz,” says Stephen Deeks, professor of medicine at the University of California at San Francisco. Deeks was blown away by the poster’s claim and recalls thinking, “Why does no one seem to care about this remarkable case?” He moved on and didn’t discuss it with any of his colleagues. Weeks later, Jeffrey Laurence, a researcher at Weill Cornell Medical College, stumbled across Huetter’s abstract in the conference program. As the first author of a seminal 1984 paper showing that HIV causes AIDS—a controversial idea at the time—Laurence was all too familiar with the deadening silence that can greet revolutionary discoveries. He wanted to believe Huetter’s claim, and so in his role as a consultant for AmfAR, The Foundation for AIDS Research, he organized a think tank of 12 people in September 2008. Huetter was there, as were Deeks, Harvard University immunologist Judy Lieberman, and David Margolis, a leading AIDS researcher at the University of North Carolina. After scrutinizing the evidence, this jury of sorts unanimously decided that the Berlin patient, by then identified as Seattle native Timothy Ray Brown, was indeed cured of AIDS. “It was absolutely a turning point,” says Deeks. Until then, the best scientists had hoped for was to control HIV infection by impeding the virus’s ability to reproduce. Brown’s case galvanized them into action. There are now dozens of labs investigating how to eliminate HIV from the body entirely. Several companies are developing techniques that mimic the genetic mutation that made Brown’s donor resistant to the virus; a handful are now in clinical trials. Funding agencies have changed course as well. In December, the National Institutes of Health (NIH) announced it would dedicate $100 million over the next three years to accelerate such efforts. 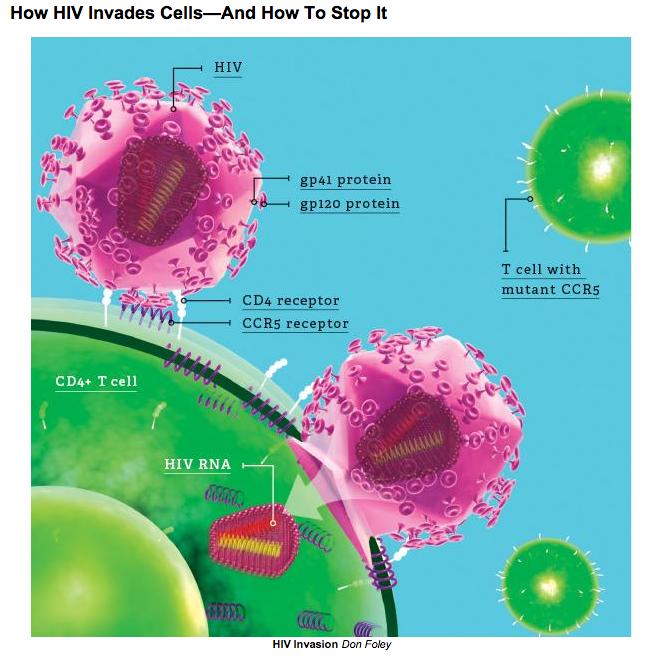 To read more, select the following link, http://www.popsci.com/article/science/aids-cure.